Drew Kinder founded Seed Super Store in 2000 to offer the very best selection of improved turfgrass seed varieties available to homeowners. 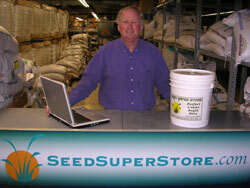 Seed Super Store focuses on providing the highest level of service possible. We care about your lawn as if it was our own. We sell superior grass seed and fertilizer to homeowners anywhere in the U.S. We never compromise quality. Our goal is to supply you with the best available products no matter where you live or how much you require. "At SeedSuperStore.com our job is not complete until you have the finest and most enviable lawn in your neighborhood. Perfect lawns begin here, and we will do anything we can to help you achieve success." Plant breeders have been progressively improving the quality of common lawn seed since the 1950's. Early Kentucky Bluegrass varieties like Merion and Baron changed the look of northern lawns. Pennfine and Manhattan perennial ryegrass were among the first fine textured ryegrasses in the early 1970's. More recently, turf type tall fescue varieties offered great improvement over K-31 tall fescue. Plant breeders have also improved warm season grasses like bermudagrass, buffalograss, zoysiagrass, and centipedegrass. Improved turfgrass varieties are produced and marketed by wholesale seed companies, many located in the Pacific Northwest, where conditions are optimum for quality seed production. Wholesale seed marketing companies promote their varieties and sell them to local and regional seed distribution companies, and national chain stores. With over 500 improved varieties of turfgrass available, local seed suppliers and chain stores seldom carry more than few varieties. Although a small seed selection is adequate for many homeowners, discriminating home gardeners in search of a perfect lawn are seldom able to purchase the specific varieties they desire. SeedSuperStore.com brings it all together; independent third party advice, independent third party product evaluation, extensive product selection, unlimited seed mixing flexibility, and 24-hour Internet access. To exceed our customers' requirements by stocking a very large selection of certified turfgrass seed varieties and fertilizer, while providing consistently superior delivery service and detailed technical information. Mary Thurn is our staff agronomist and is available to answer questions about seed selection for your lawn. 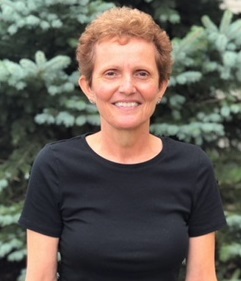 With a BS in Horticulture and MS in Turfgrass Science from Cornell University, Mary has over 25 years of experience in the turfgrass industry in both the public and private sector. As a turfgrass researcher and educator at Cornell University, Mary provided lawn care training sessions for many audiences including Master Gardeners, garden clubs and lawn care professionals. Training emphasized the proper selection of turfgrass species and varieties, the most important step for successful establishment and longevity of a beautiful lawn.